Mt. 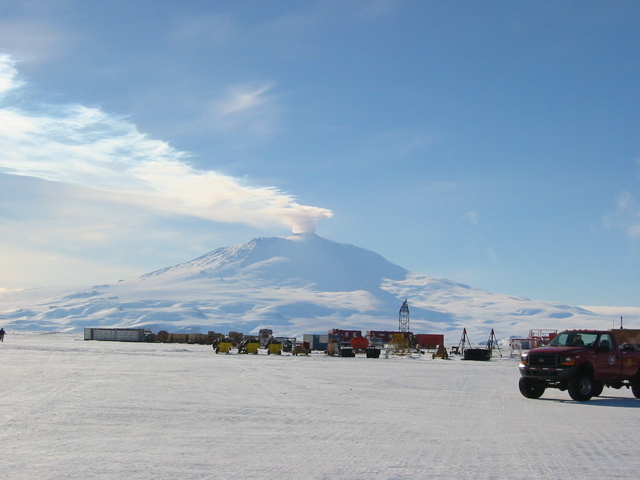 Erebus, which is on the same island as McMurdo (Ross Island), smoking. This view is from the sea ice runway. Erebus is about 12,400 ft tall.